The Atlas Cedar is a large tree, native to the Atlas Mountains of Morocco and grows to around 30 metres tall with a trunk diameter of up to 2 metres. The essential oil is extracted from the wood and sawdust of the tree using steam distillation. 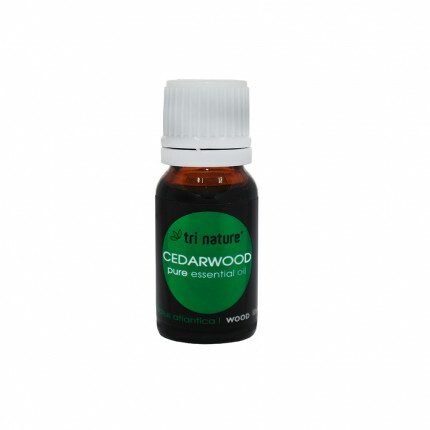 With its warm and woody aroma, Cedarwood essential oil is calming, comforting and grounding and is known to promote skin vitality and clear breathing. Blends with Bergamot, Clary Sage, Cypress, Jasmine, Juniper, Neroli, Vetiver, Rosemary, and Ylang Ylang.